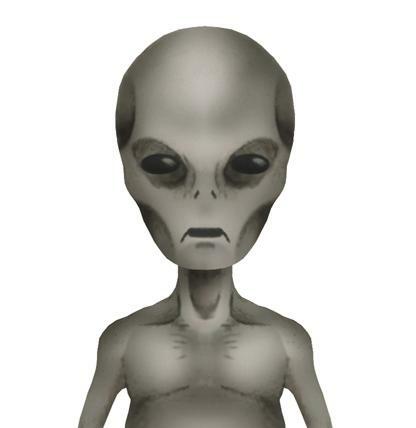 According to a National Geographic survey, 77 percent of all Americans “believe there are signs that aliens have visited Earth”, and according to a recent Harris poll only 68 percent of all Americans believe that Jesus is God or the Son of God. That means that the number of Americans that believe that UFOs have visited us is now greater than the number of Americans that believe what the Bible has to say about Jesus Christ. With each passing year, the frequency of UFO sightings seems to keep increasing, as does the number of movies, television shows and video games featuring aliens and extraterrestrial life. It is almost as if the population of the planet is being primed for something. Could this phenomenon be the “strong delusion” of the last days that is talked about in the Bible? And if there are beings out there that are not human, what is it that they want? Could it be that they have an extremely insidious agenda? When it comes to UFOs, it is important to be skeptical. These days it is very easy to fake just about anything on video, and there have definitely been a lot of fraudulent reports over the years. It was certainly a close encounter, but with precisely what remains a mystery. MUFON is the largest civilian UFO investigation organization in the US, and probably the world. They have investigators in every state, and representatives throughout the world. Clifford Clift, MUFON’s director in early 2012, told Lee Speigel of the Huffington Post in January of that year that MUFON received over 6000 UFO reports in 2011. He added that they had already received hundreds in the first few days of 2012 and were expecting a big year. In 2013 MUFON received 7646 reports worldwide. 6457 of those were in the United States. Because I know that they are. As a matter of fact, they’ve been visiting our planet for thousands of years and one of the cases that would interest you most if you give me two or three minutes to answer is that during the Cold War, 1961, there were about 50 UFOs in formation flying south from Russia across Europe, and Supreme Allied Command was very concerned and about ready to press the “Panic” button when they turned around and went back over the North Pole. They decided to do an investigation and they investigated for 3 years and they decided that, with absolute certainty, four species – at least – had been visiting this planet for thousands of years. We have a long history of UFOs and of course there has been a lot more activity in the last few decades, since we invented the atomic bomb and they are very concerned about that and the fact that we might use it again, and because the Cosmos is a unity and it affects not just us but other people in the Cosmos, they are very much afraid that we might be stupid enough to start using atomic weapons again, and this would be very bad for us and for them as well. So is he telling the truth? 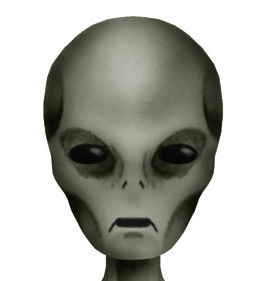 Most people assume that if UFOs and aliens are real, that they must be here to help us. But what if that is not actually the case at all? Abductions, you have to remember, are a means to an end. They’re abducting people for a purpose, for a reason. The physical act of abducting people, which is the abduction phenomenon, really is only part of the program. So what I’ve done is kind of divided it into component parts and fleshed it out a lot more. So what we have here is an abduction program, a breeding program, which accounts for all the reproductive activity that we see, and a hybridization program, which is why people see hybrids all the time–as babies, as toddlers, as adolescents, and then as adults. To many Americans, what Dr. Jacobs is talking about sounds absolutely crazy. But it is important to remember that Dr. Jacobs is not just some nutjob with a blog. He is a respected professor at a major university that has been intensely studying this stuff for more than 30 years. Do you believe that UFOs and aliens are real? If so, who do you believe that they are and where do you believe they are from? Could this actually be the “strong delusion” of the last days?